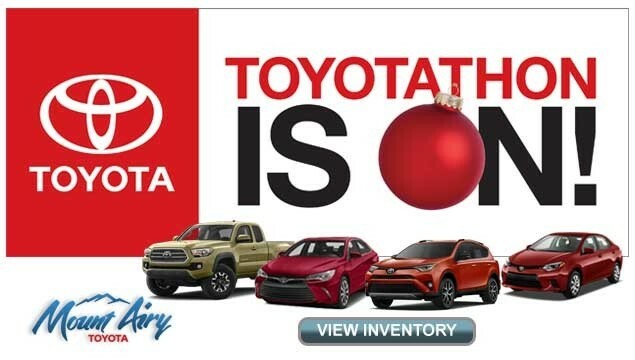 It’s almost the best time of year to shop Toyota. November 18th marks this year’s Toyotathon, and you know what that means. Deals, deals, and more deals. You will not find a better price on some of the most popular vehicles ever made. And we have exactly what you want here at Mount Airy Toyota. Whether you live in Blytheville, VA or Charlotte, NC, this is worth the trip. So what exactly is Toyotathon? Simply put, it is the time of year when the inventory levels and the factory incentives crossover, allowing for the pinnacle of price reductions. It is a kind of shuffling of vehicles so there is room for next year’s new models, and we have found the best way to do this is drastically reduce prices. · A 2016 Toyota Sienna Limited for $40,127. This seven passenger, front wheel drive, five door, automatic is usually priced at $43,916. That’s over almost $4,000 worth of savings! · Check out the 2016 Toyota Prius Three Touring Edition as a four door hatchback with a 1.8-liter, four-cylinder engine. Usually listed at $29,753, now only $27,099. · We also have the 2016 Toyota Camry SE with a price reduced to $21,270. This five passenger, front wheel drive sedan with a 2.5-liter, four-cylinder engine is usually listed at $25,297. And these are just the beginning. Once we combine factory incentives with our reduced pricing, the deals become outrageous. 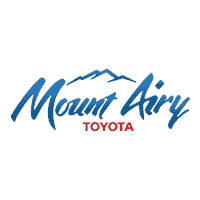 So, stop what you are doing and head on over to Mount Airy Toyota. And hurry, because Toyotathon lasts only until the beginning of January.